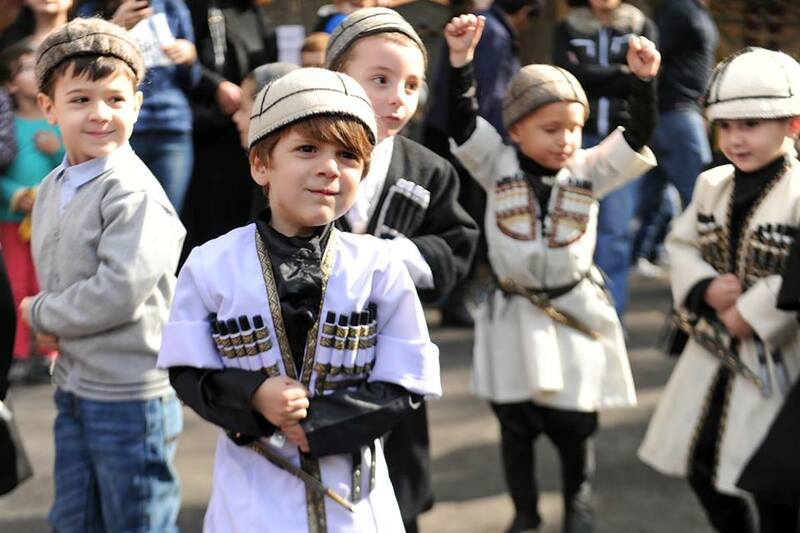 Children from Tbilisi’s kindergartens recently celebrated their annual “Autumn Festival” event. 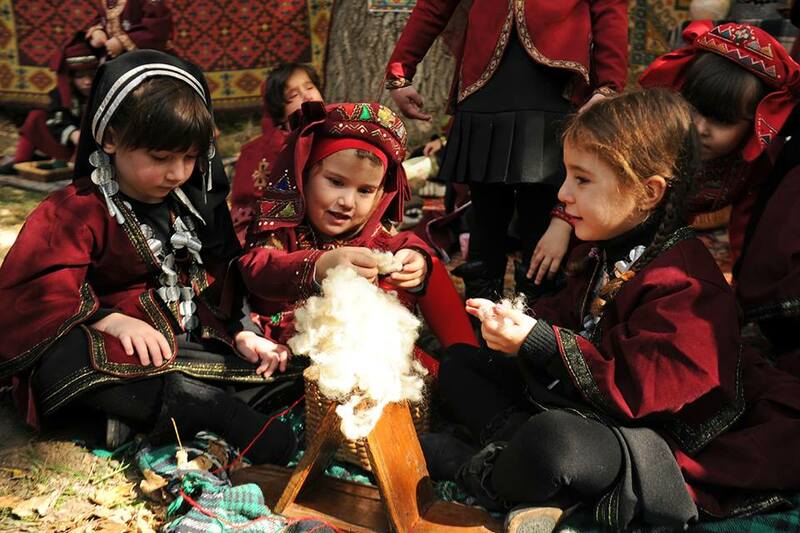 The event reflects the culture and traditions of the different regions of Georgia. 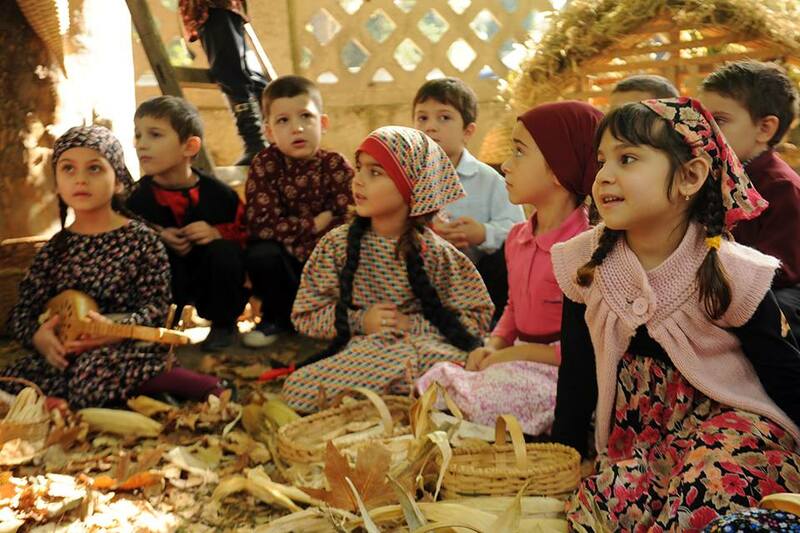 The children dressed in traditional costume and participated in craft making, poem recitals, singing and games. 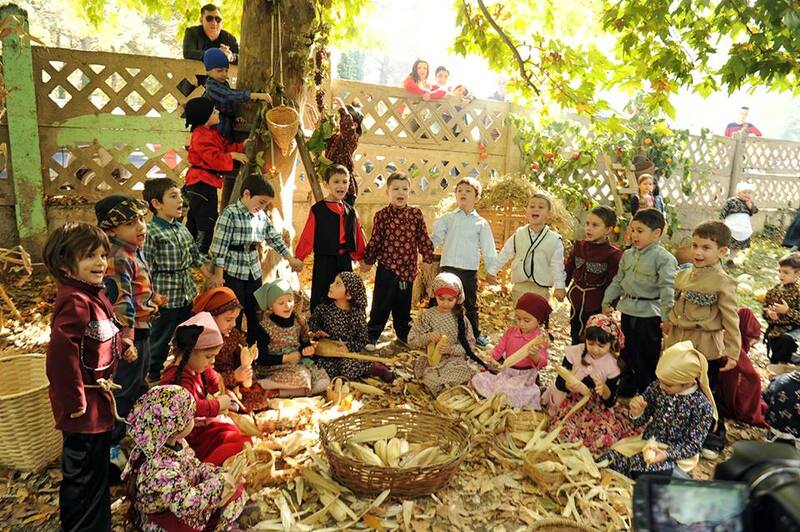 The children celebrated Rtveli (Georgian: რთველი), the traditional vintage (the process of picking grapes and making wine) that marks the end of the agricultural cycle for the year. The children helped to make Churchkhela (Georgian: ჩურჩხელა), a traditional sausage-shaped candy made by repeatedly dipping a long string of nuts in tatara – a mixture of flour, sugar and Badagi (concentrated fresh grape juice). 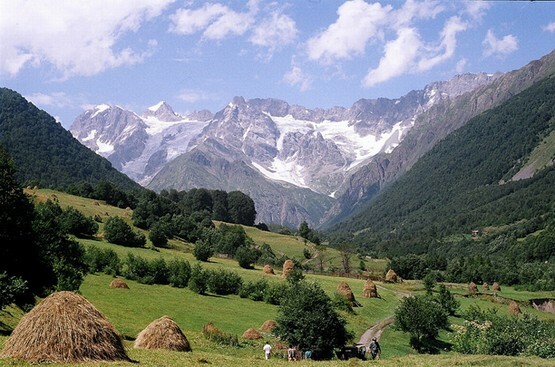 Churchkhela is usually made in the Autumn when the grapes and nuts are ripe.